First, we sit down with you to find out everything you could possibly require to make your special day exactly what you desire. Then we individually tailor the wedding plan of your dreams. Our wedding planning experience and knowledge, as well as our reputation, are stellar recommendations, so even if you are not sure exactly what you envision, we can provide examples and suggestions to come up with the perfect event for you. Our clients never have to lift a finger. They can leave absolutely all of the “heavy lifting” to us. We also understand how overwhelming and important this planning is to you, so we make sure you feel as though you are part of the process every step of the way. Our extensive network of the area’s most exceptional special event vendors makes us the go-to, one-stop-shop for the wedding of your dreams. We work with only the best photographers, videographers, DJs, bands, caterers, florists and cake bakers, so you and your guests will enjoy every aspect of your special day. Affordable Beach Wedding makes sure that if you are planning a destination wedding on one of Florida’s most beautiful beaches, you can rest assured that Affordable Beach Wedding will make your event a memorable one. 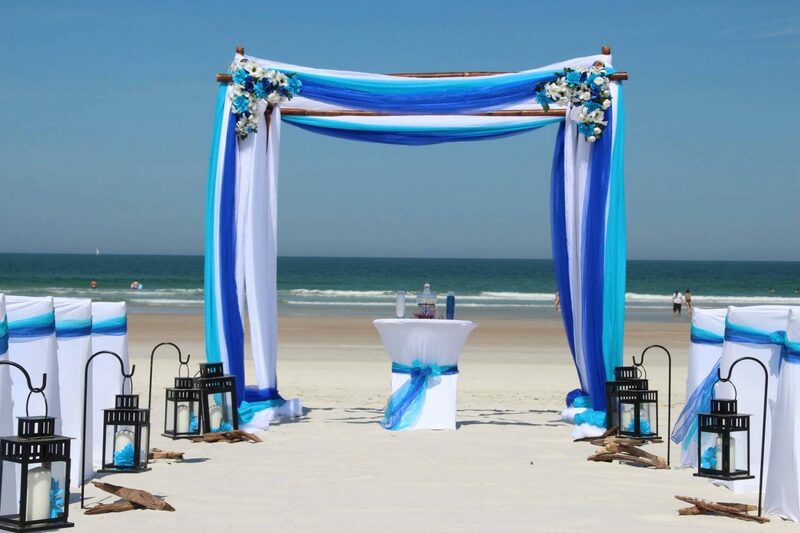 Affordable Beach Weddings is Daytona Beach’s trusted source to bring your magical day to life! Call 386-428-0777 or 386-279-1179 or email eva@affordablebeachwedding.com for your free consultation. Also feel free to peruse our wedding packages on our website for some great ideas! Daytona Beach is a magical place, where beautiful beaches are lapped by warm water, gentle breezes blow and the sun glistens on the ocean. Why not enjoy your magical day in a magical place? 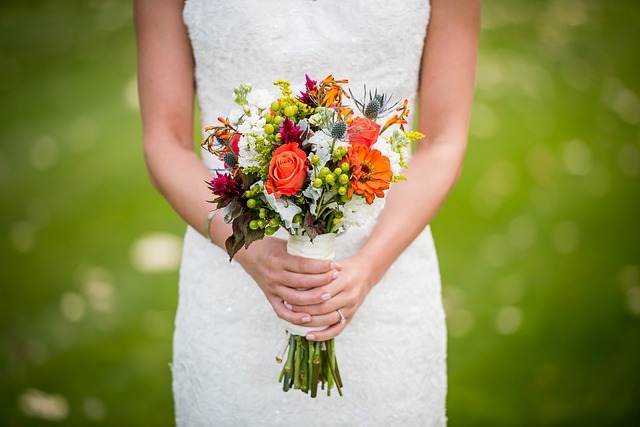 Daytona Beach is the perfect place for a wedding…in any season! Peak season in Florida is mid-December – April, so if you are looking for gorgeous, temperate weather, this would be a great time to choose. Peak season will also offer your guests a respite from the colder weather wherever they live. Everyone needs a break from chipping ice from windshields, shoveling snow and driving (and just existing, for that matter) in inclement weather conditions. Also, think of all the things there are to do in Daytona Beach during peak season. Your guests will have a ball! Think February for romantics and race fans! Aside from Valentine’s Day, it is time for the Daytona 500. In fact, Daytona Beach holds fabulous events all year long. There are live concerts, over-the-top car shows and festivals of every kind throughout the year. Did you know that Daytona Beach was named the “Festival Capital of Florida”? If you are looking for a bargain, try off-season. Late spring and early fall are both beautiful times of year in Daytona Beach, Florida – when the weather is still mild (and not too hot), the crowds are thinner and you can get the most for your dollar. 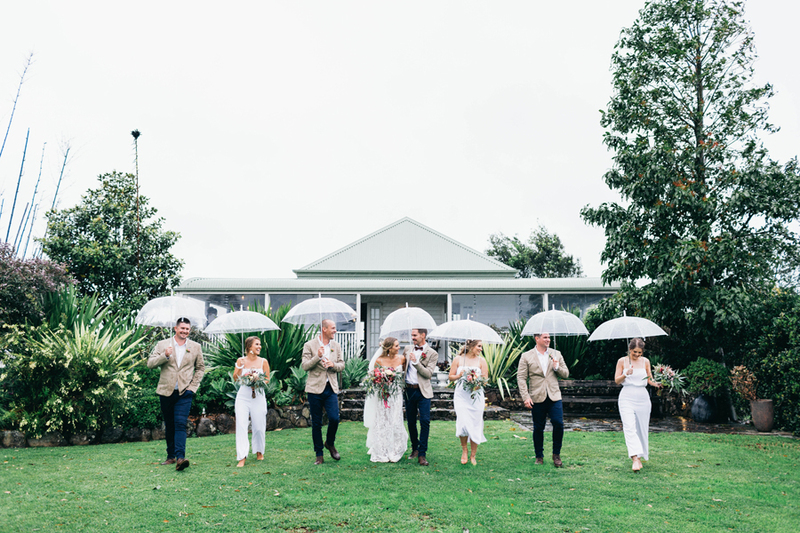 Peak season is prime time for wedding venues so, during the off-season, aside from enjoying better availability, you will pay less for your venue. Your guests will pay less for their plane tickets and accommodations, and other important items, such as your cake, flowers, and music, will all cost less for you. Summer has its perks as well. Keep in mind that summer is the time when kids are out of school, so some of your guests may find it an easier time to make that trip to Florida. Those with kids may also enjoy the fact that America’s greatest theme parks are just an easy drive away! There is no better place for a destination wedding than Daytona Beach, which is famous for miles and miles of magnificent, pristine beaches. 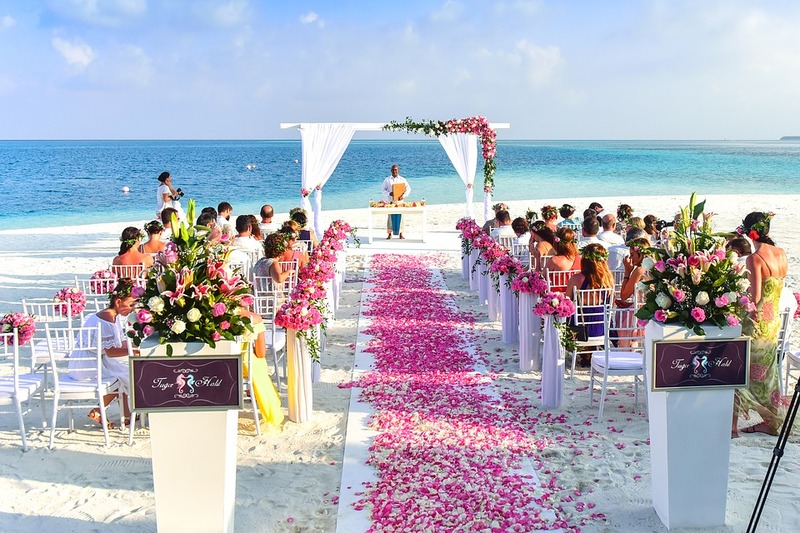 Imagine exchanging your vows with the love of your life, with your toes in the sand, against beautiful backdrop of waves gently lapping at the beach. That’s a Daytona Beach wedding, and Affordable Beach Weddings – Daytona Beach’s trusted source for exceptional wedding planning – specializes in tailoring beautiful weddings to each happy couple’s specific tastes and preferences. Affordable Beach Weddings delivers elegant, professional wedding planning at an affordable price. We will work with you to create the wedding you have always dreamed of, and handle everything from the elegant arches and canopy displays, to on-site hair styling and make-up, to the finest photographers, videographers, florists, wedding cake designers, bands, DJs and more. We can even help you choose the perfect wedding officiant, help prepare your vows, and take care of your wedding license. It’s your special day, so feel free to leave all of the details to us while you enjoy the wedding of your dreams. Don’t forget that Daytona Beach can make the days before and after the wedding incredibly enjoyable as well! The incomparable nightlife, unbeatable beachside shopping and dining, and engaging activities for the entire family also make the Daytona Beach area a perfect place for your guests (and you of course!). And if that wasn’t enough, Orlando’s theme parks, Kennedy Space Center and St. Augustine’s historic beauty are all only a convenient drive away. There is no better place for a destination wedding than Daytona Beach, and there is no better wedding planner for a Daytona Beach wedding that Affordable Beach Weddings, Central Florida’s premier wedding planner. 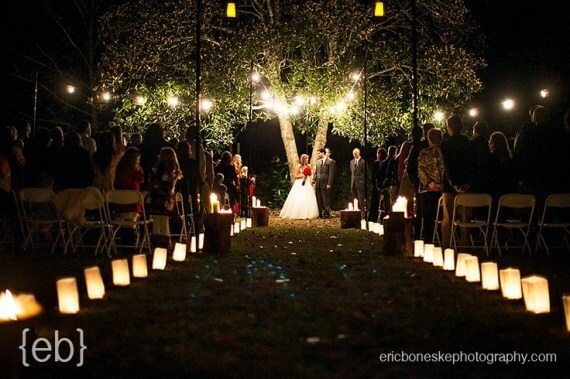 With twinkling tea lights and the soft glow of the moon, what could be more romantic than an evening wedding? Everyone wants their wedding to be unique, and a night wedding is a great way to do just that! Imagine trees wrapped in tiny white string lights and adorning your ceremonial arch. Candles could light your isle, and your bridesmaids could carry candles or lanterns. 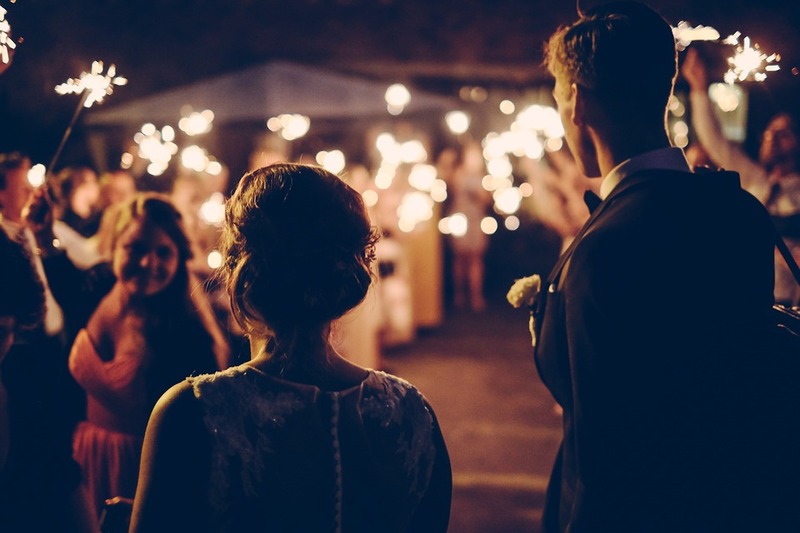 You could set off brightly lit lanterns into the sky when you take your first kiss, and guests could wave sparklers as you enter your wedding reception as husband and wife. Your table could be a candlelit sweetheart bistro table for two. Guests could dine under candlelit chandeliers. Or you could go more casual with tiki lights and bonfires. Nighttime is a great time for a party. And, if we are being pragmatic here, it’s also cooler and less humid during Florida evenings, so it will be more comfortable for you, your wedding party and your guests than it would be in the heat of the day. If you would like more tips on weddings with flair, contact Affordable Beach Wedding, Central Florida’s premier beach wedding company. The wedding experts at Affordable Beach Wedding will work closely with you to create the wedding of your dreams at an affordable price. They take care of all of everything, right down to the tiniest details. Just call 386-428-0777 or 386-279-1179. Daytona Beach is an iconic beach destination with 23 miles of beautiful coastline, but it is so much more. It is located smack dab in the middle of Florida’s “Fun Coast” region, so put on your party pants and get ready for some spectacular events in 2019! We kick off every great year with an extravagant New Year’s Eve Celebration on Main Street, complete with live music, vendors peddling fun and food and a spectacular fireworks display. The Daytona 500 is the most prestigious race in NASCAR, and it is scheduled for February 17th in 2019. Watch NASCAR’s most seasoned professionals compete in a battle of skill and determination in Daytona’s largest and most celebrated event of the year. Then feel the low rumble of hundreds of bikes during bike week in Daytona Beach from March 8th through the 17th in 2019. This event promises plenty of exciting entertainment all week long. 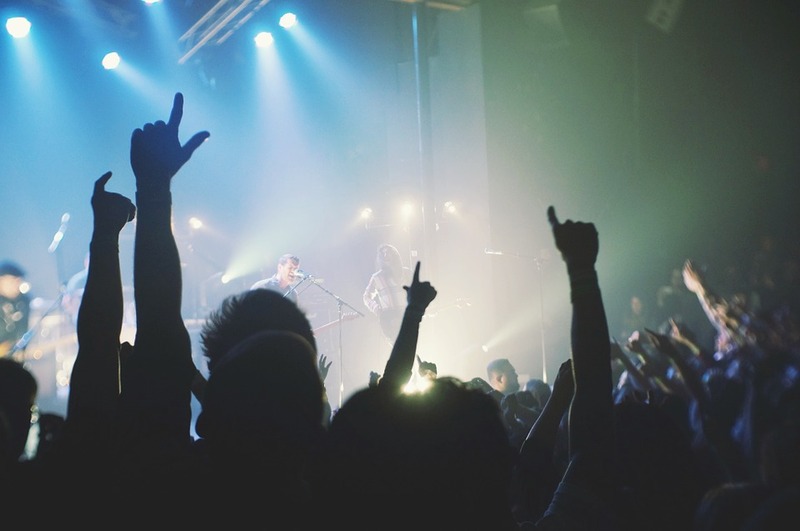 Daytona does the summer up right with the Family Festival and Hippiefest in June – both offering plenty of music, food and fun. Celebrate July 4th with a free Bandshell concert event and fireworks on the beach or at the Coke Zero 400 July 4th weekend at Daytona International Speedway. Some of country music’s biggest stars perform throughout Memorial Day weekend at the Country 500 Festival. If music is your thing, don’t worry. Daytona offers a variety of options, including the three-day Daytona Blues Festival in October. November is the month for the Halifax Art Festival, a cultural event of ginormous proportions. Later in November, on Thanksgiving weekend, Daytona Beach hosts the largest classic car show and swap meet in the United States – the Turkey Run. The holidays are also a magical time. Don’t miss the Stetson Mansion Christmas Spectacular’s gorgeous display! A souvenir to commemorate an occasion as momentous as your wedding is always a wonderful thing, but beach wedding souvenirs can be even more fun and whimsical. 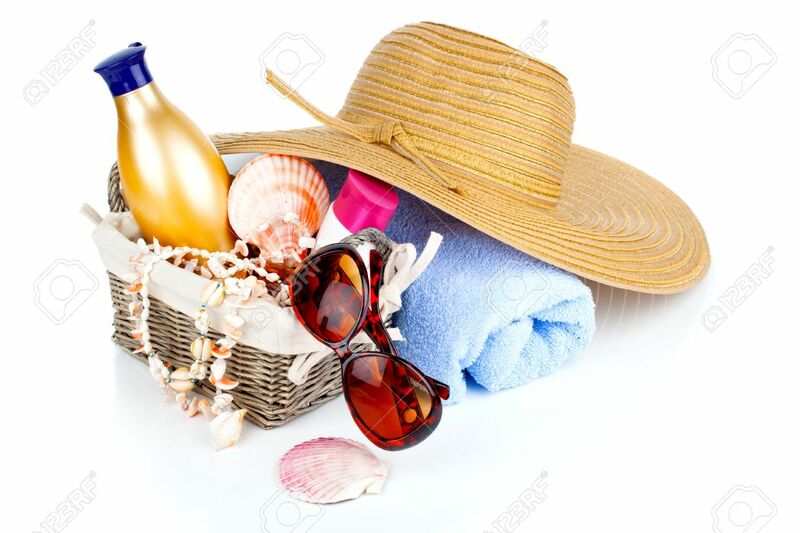 Go fun, but functional and greet your guests with baskets full of flip flops, plastic sunglasses (silly oversized or regular, depending upon the flow of your show), sunscreen and handheld fans to keep everyone comfy during the ceremony. You can also personalize any or all of these items with your names and the wedding date. Maybe you are thinking of going in a little more elegant direction. Choose something like a silver box designed in the shape of a scallop, a box of decadent chocolate truffles shaped like seashells, sea stone jewelry that is both beautiful and unique and a wonderful reminder of your lovely seaside event. Think beachy! 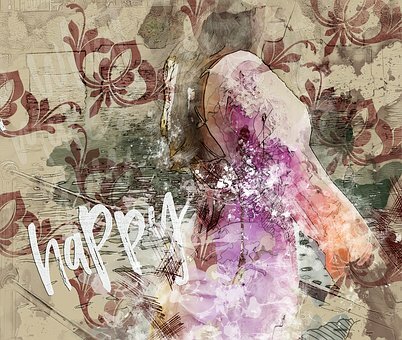 Think fun! Choose from nautical wine stoppers, beachy luggage tags, seashell coaster sets, pillows or beach bags displaying beautiful beach scenes. Pick a personalized pilsner or stemless wine glass with an etched starfish or sand dollar. Or go cute with a miniature beach chair photo frame, a palm tree bottle opener, or a tropical key chain or charm in the shape of an anchor, flip flop or palm tree. Or think completely outside the box, and make your gift uniquely reflective of your very own particular style. The wedding souvenir you choose to give can be almost anything you can imagine. For more souvenir ideas or any other help with wedding planning, call Central Florida’s trusted source for beach wedding planning – Affordable Beach Wedding.